Take I-79 South to Exit 55, Kirwan Heights. Turn left as you come off the ramp onto Route 50 East. Turn left at the first traffic light onto Thoms Run Road. Go a short distance to entrance to the high school on the left. Travel past the high school for a very short distance. 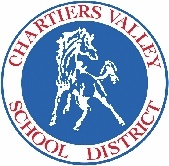 Field will be on the right between the Old Woodville State Hospital and the Chartiers Valley bus garage. Take I-79 South to Exit 55, Kirwan Heights. At the light at the end of the ramp make a left onto Route 50 East. Go to the third traffic light and turn right on Old Greentree Road. Go to the second traffic light and turn left on Swallow Hill Road. Go through two stop signs on Swallow Hill Road - about 50 yards past the second stop sign you will see the school on the left. The field is located behind the school.